Foursquare, a company now focused on transforming itself into a source of local business information and reviews more along the lines of Yelp, is releasing a feature that it hopes will help to extract more value from users’ check-ins. The company says it may now ask users a brief question about the business they’re visiting after their check-in, which they can then respond to directly in the app. In the examples the company provided, those questions might be something like whether the restaurant has outdoor seating, or if it delivers, or whether it takes credit cards or only cash. 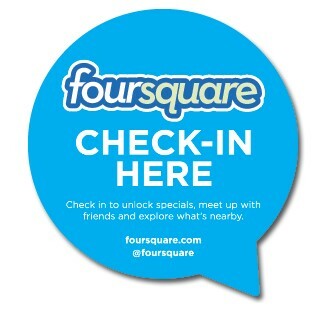 Foursquare doesn’t want to overwhelm its users with the post-check-in Q&A sessions, however, so not only will just one quick question be asked at a time, users won’t see a question appear after each and every check-in. Instead, the company will just begin asking these sorts of things on occasion, allowing it to take advantage of those who still participate more actively in the social experience within Foursquare by checking in. The Q&A feature was first rolled out to Android users a few days ago, and has just today made its way over to iOS. This seems like a smart way to take advantage of Foursquare’s user base, which is now up to 35 million. However, the company still faces a more serious problem with regards to its plans for these more productive check-ins: people have stopped checking in as often. Though they may still be launching and using Foursquare as a way to look for local business info, check-in growth is flat. This March, for example, when Foursquare was close to raising its Series D, the company said that it was seeing around 5 million check-ins per day from its then 30 million users. Unfortunately, that’s the same number it had reported over a year ago. For many, the novelty of the check-in has worn off, as have the “mayor wars” and the other gamification elements in the app, like the point system and badges. Foursquare has been trying to combat that problem by offering users check-ins that provide more value, such as when it launched its own take on the quantified self trend with the added ability to socially share the check-in messages that tell you how often you’ve visited a place, or how long it’s been since your last visit, among other things. It also launched branded experiments, such as the Samsung sponsored “Time Machine” which lets users visualize their check-in history in new ways — another not-too-subtle nudge to keep users checking in. And more recently, it inked a deal with Deezer to encourage check-ins at live music events for a chance to earn a three-month Deezer paid subscription. A move like that could help users redevelop their checkin “habit,” even if the music venues aren’t the kinds of local businesses Foursquare really needs more data on. 2013 is something of a year of change and experimentation for the company. Foursquare’s revenue has been growing, estimated to now be on a run rate of between $15 million and $20 million for the year. It has been trying out a number of revenue-generation tactics, including the above-mentioned branded sponsorships and promotions, and has plans to move into check-in retargeting and post-checkin ads. The company has some 1.4 million local merchants on the platform, which it hopes to monetize by charging for ad products on a cost-per-action basis (e.g. advertisers pay when users show up to take advantage of the lunch special). The move to flesh out Foursquare’s merchant profile data via crowdsourced Q&As comes shortly after competitor Yelp took a step of its own to maintain its position as a top app in the local reviews space: it finally launched a way for users to write reviews from mobile. The change hinted that Yelp is feeling the competition from others in the space, including Foursquare, Google, Square, Groupon and Facebook, which are all focused on collecting data from users’ visiting local businesses. The updated Foursquare apps are out now on both Android and iOS.